Veterans Day is an official United States public holiday observed annually on Nov. 11, honoring military veterans — persons who served in the United States Armed Forces. 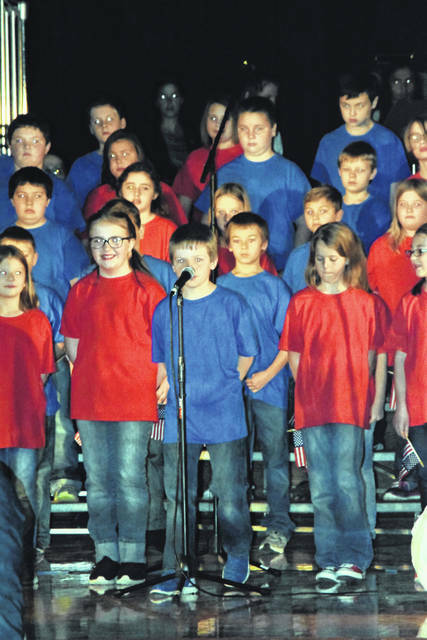 While the date fell on a Sunday this year, all of the school districts in Preble County still found time to honor the holiday this week. 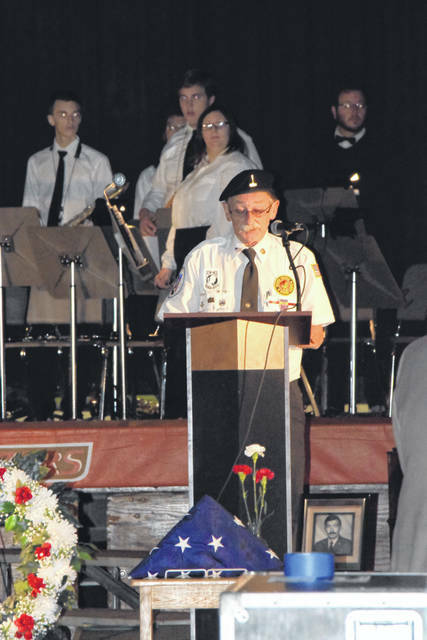 PREBLE COUNTY — Veterans Day is an official United States public holiday observed annually on Nov. 11, honoring military veterans — persons who served in the United States armed forces. 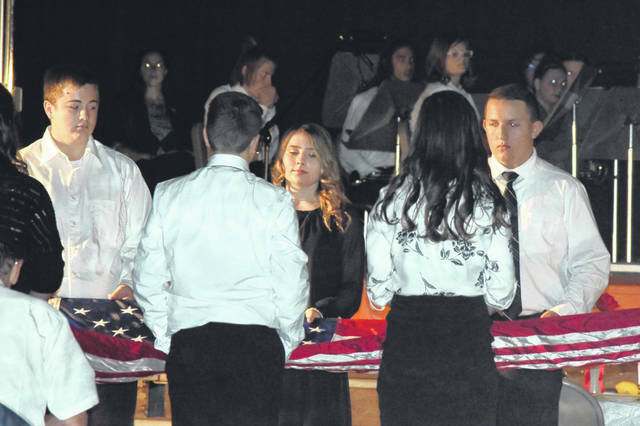 While that date fell on a Sunday this year, all of the school districts in Preble County still found time to honor the holiday this week. 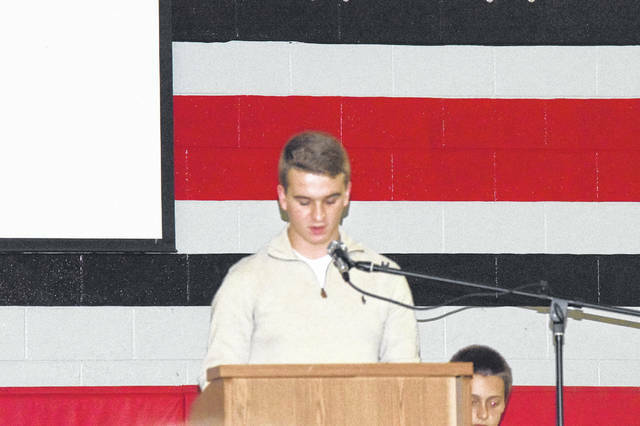 Eaton Community Schools was the first district to do so, with a middle school assembly on Thursday, Nov. 8. 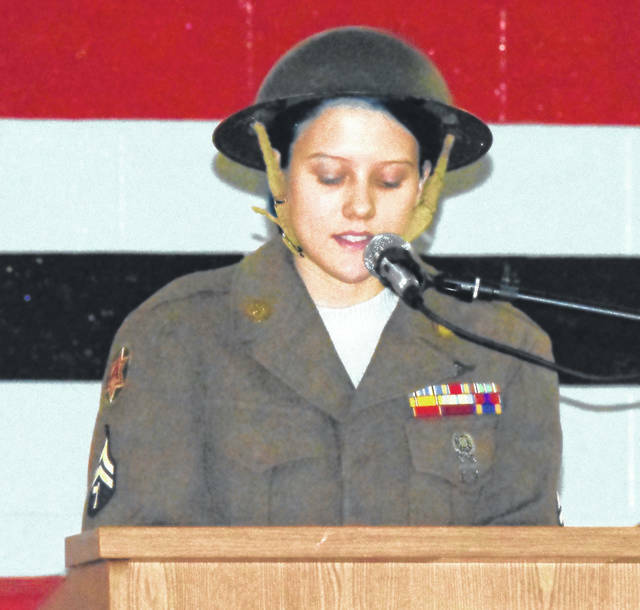 On Friday, Nov. 9, National Trail Local Schools and Tri-County North Local Schools held Veterans Day assemblies. West Elkton Intermediate also had an assembly. On Monday, Nov. 12, Twin Valley South, Camden Elementary, and Preble Shawnee Jr./Sr. 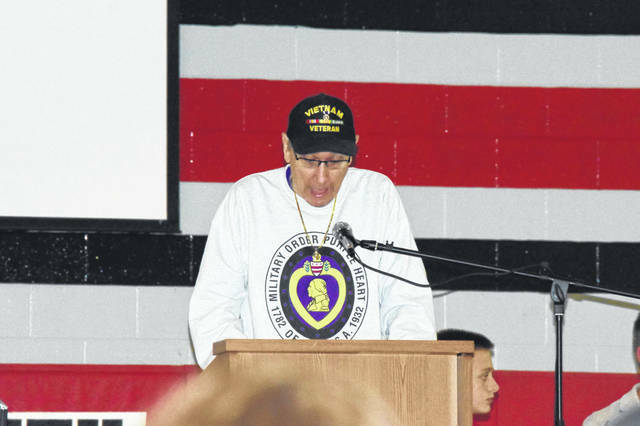 High held Veterans Day assemblies. National Trail’s program was organized by eighth grade adviser James Patrick. It featured performances by the fourth grade chorus, middle and high school chorus, National Trail Band, and the steel band. The program also featured presentations by the Jr. Honor Society, Preble County Honor Guard, Sergeant Del Braud with Montgomery County Sheriff’s Department, and theNational Trail Class of 2023. “I’m pretty honored to stand up here in front of you guys. 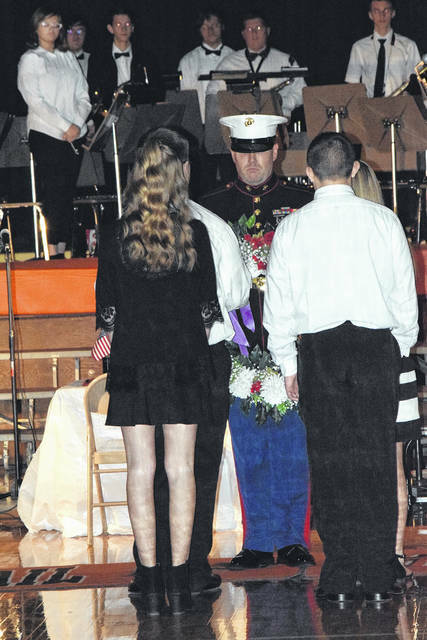 I want to thank the administration for allowing the eighth grade class to join in the veterans day celebration. 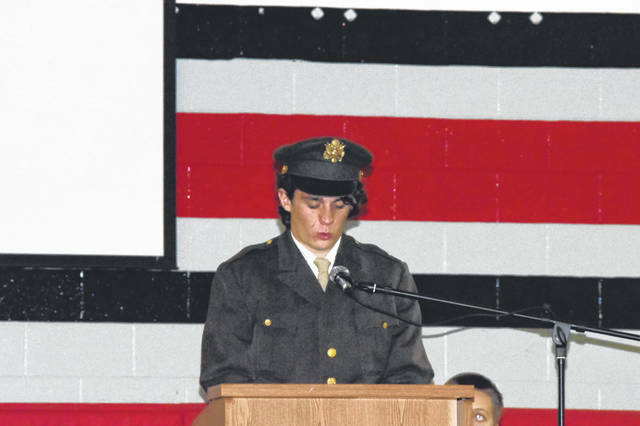 I want to thank the veterans for coming, if it wasn’t for you, we wouldn’t be able to put on a program like this and our students wouldn’t be able to learn history and understand the mistakes that we made, to make those mistakes better in the future,” Patrick said. “If it wasn’t for you guys, we wouldn’t be here right now. I wanted to thank the eighth grade class – they are very respectful and it is a great age to ask for. These veterans chose to do what they did for us. Nothing comes without a cost, I teach the eight grade class that all the time. Nothing is free. When they get to high school they understand that and they are taking that with them as they go into the world. “I want to thank the veterans for their support and everything they did for their country. One particular to keep in mind, as I do every year and we should keep them in mind always, is our Vietnam veterans. They came home to nothing, really. They had to come home in civilian clothes, because of the protests. They are truly one of our greatest teachers of history. We need to learn from our mistakes and I think we did. 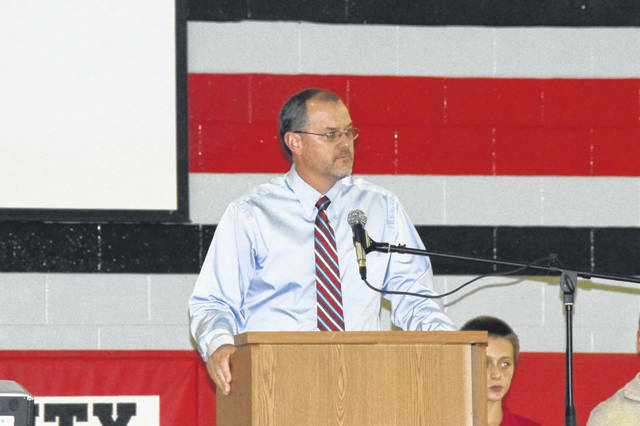 Tri-County North’s program was organized by Don Kring. 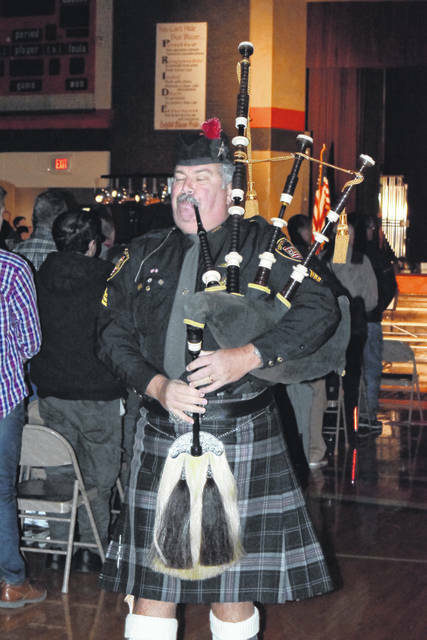 It featured music from the Tri-County North Band and elementary students. 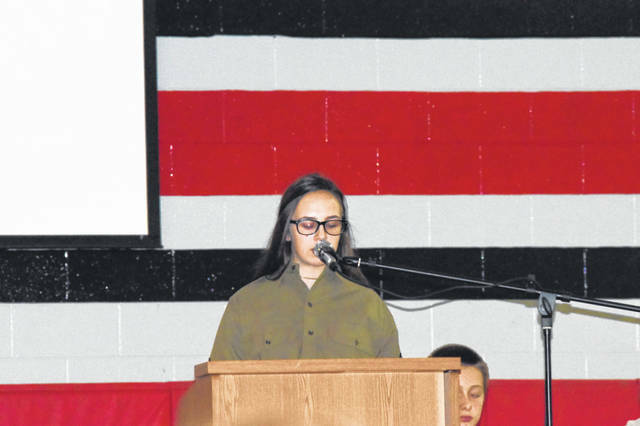 It featured presentations from the PC Honor Society, Preble County Honor Guard, and various teachers and students. 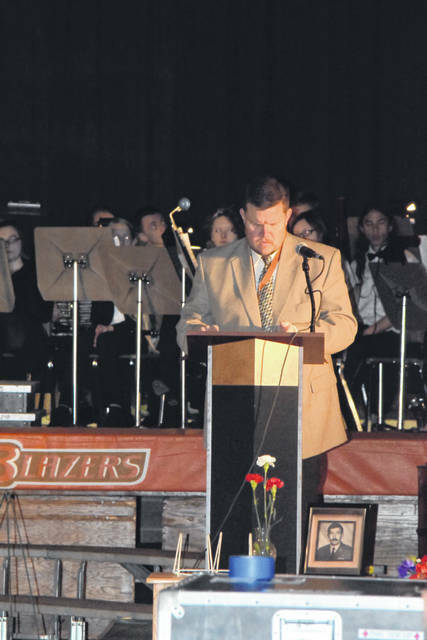 “This is the 17th year in a row we have held a program including our entire school,” Superintendent Bill Derringer said. “This program is one of our highlights of the fall. We spend a few hours reflecting on the service and sacrifice of our veterans. Today, we say thank you, so we will not forget the times in our history when men and women gave up themselves so we can remain free. https://www.registerherald.com/wp-content/uploads/sites/41/2018/11/web1_Veteran7.jpgVeterans Day is an official United States public holiday observed annually on Nov. 11, honoring military veterans — persons who served in the United States Armed Forces. 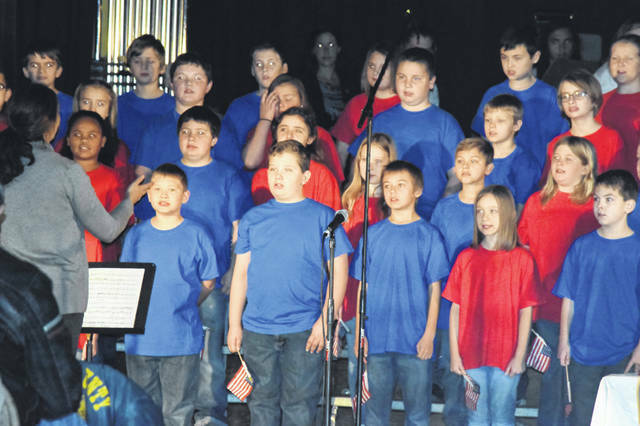 While the date fell on a Sunday this year, all of the school districts in Preble County still found time to honor the holiday this week.